Are you a fan of rock/blues music? Are you a fan of guitar solos? Are a fan of the iconic Eric Clapton and his “friends” such as Jimi Hendrix, Muddy Waters, JJ Cale and Stevie Ray Vaughn? Well then, there is only one place to go this weekend - and that’s the Rhumbelow Theatre at Tina’s Hotel in Kloof to see Rusty Red’s excellent Tribute to Eric Clapton and Friends. 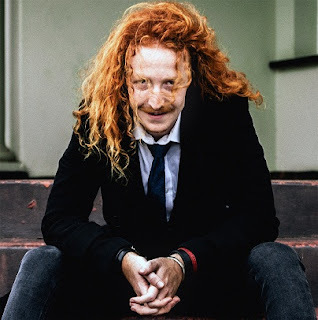 Durban’s music scene is enriched by many superb guitarists and there is little doubt that Rusty Red can count himself up there amongst the very best. He has become somewhat of a regular on the Rhumbelow circuit, performing not only his own show but also as a featured guitarist with groups such as the Reals and the Black lapels. For this tribute show Rusty Red (his real name is Luke Wyngaard, but his wild shock of red hair makes his nom de plume most appropriate) is joined by his friends, left-handed bass player and singer Skippy Kubeka and inspired drummer Chris Melling. With Rusty on lead guitar and lead vocals, they form a very tight and talented trio who do great justice to the memorable music composed and performed by Eric Clapton and his friends. Eric Clapton, now 73 years old, has been active in the music industry since the early 1960’s. He is the only artist to be inducted into the Rock and Roll Hall of Fame on three occasions. Once as a solo artist and also as a member of the groups Cream and The Yardbirds. He is the recipient of 18 Grammy Awards, has sold over 130 million records worldwide and is ranked second in the Rolling Stones Magazine’s list of 100 Greatest Guitarists of All Time. This tribute to the illustrious artist includes a well-selected cross-section of some of his greatest music along with contributions from artists who influenced him over the years, and those who have been influenced by him. The first half features songs such as Cocaine, Sunshine Of your Love, Lay Down Sally, Old Love, Wonderful Tonight and I Shot the Sheriff while the second half of the show highlights music of the “friends” and includes Stevie Ray Vaughn’s Pride and Joy; Muddy Waters’ Hoochie Coochie Man (an excellent rendition by Skippy Kubeka); Jimi Hendrix’s Wait Until Tomorrow (the John Mayor version), and a moving rendition by Rusty Red of Tears In Heaven - a song written by Clapton at the death of his son. It is a first-rate selection of music which is superbly performed by the trio, with Rusty Red leading the way with his exceptional guitar solos and sensitive vocals. He also sets the tone of the show with his amiable and laid-back links between songs with includes insights into the artists and music and a few personal anecdotes. This outstanding tribute show should not be missed, but book soon as tickets are selling like hot cakes. Crossroads: A Tribute to Eric Clapton and Friends is on at the Rhumbelow Theatre at Tina’s Hotel, 14 Beryldene Road, Kloof.